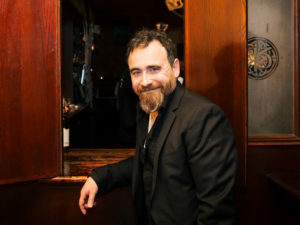 The Urban Orchestra is led by Music Director Greg Hawco. Greg is a respected international conductor and composer whose works have been performed throughout Canada, including a recent performance as a guest conductor for the Ontario Philharmonic. In addition, Greg is a well-established composer of film and television scores, including the CBC television series Republic of Doyle. He is currently performing with the Toronto production of Come From Away. As a passionate classical music enthusiast, Greg founded The Urban Orchestra in 2016 to create an opportunity for the audience could experience the same visceral thrill he experiences as a conductor. He brought together a dedicated Board of Directors and team of volunteers committed to bringing this new orchestra to life.